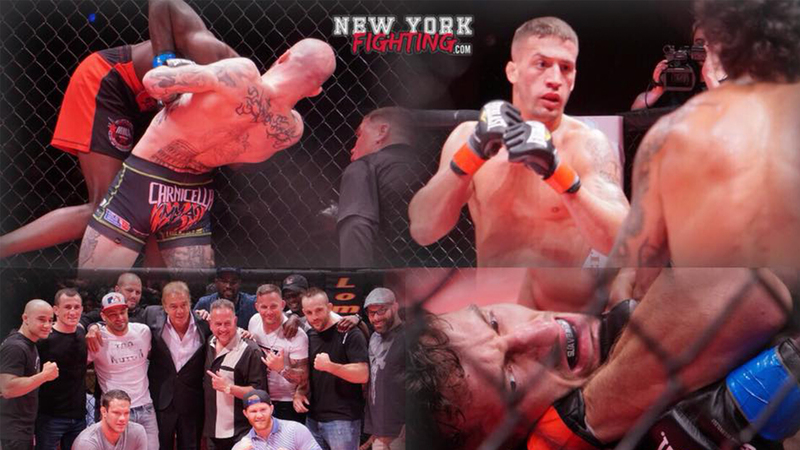 ROC 63 Results | Lou Neglia's Ring of Combat | Next Generation of Mixed Martial Arts! Thanks to all who came out to support ROC 63 this past Friday at the Tropicana Atlantic City Showroom. An stacked card entertained the packed showroom with some intense action. There was something for everyone as ROC 63 featured TKO, tap outs, intense action and much, much more! Both Bill Algeo and Phil Caracappa held on to their titles against a very game James Gonzalez and Miguel Restepo respectively. And ROC 63 featured a welcome of sorts as east coast great, Frankie Perez, returned to his roots and earned a first round stoppage over tough Jerome Mickle! For quick results, see below! Photos coming soon!